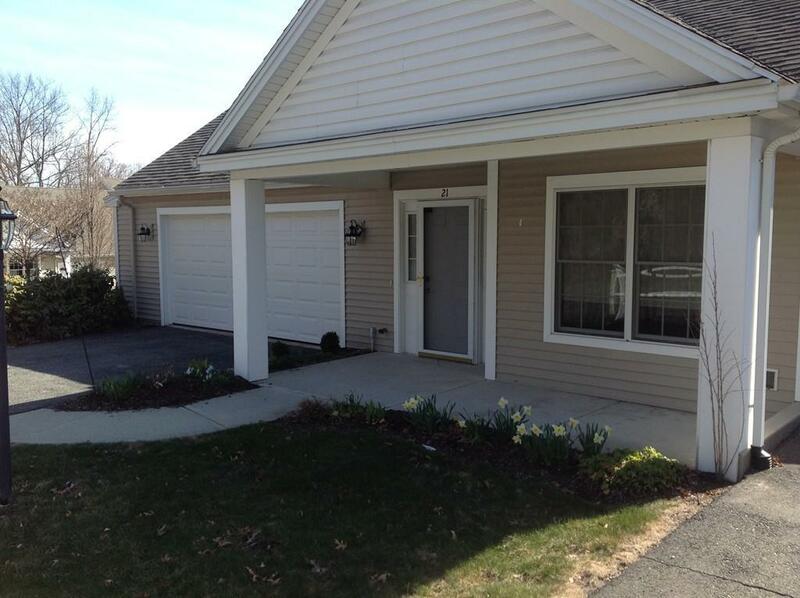 21 Cherry Dr #21, Wilbraham, MA 01095 (MLS #72263313) :: NRG Real Estate Services, Inc. Instead of doing yard work this summer, why not enjoy the 3 season porch nestled in the pines? A truly handicapped accessible, level entry unit, this well insulated home boasts a fully equipped kitchen with an eating area, a generously sized dining room that opens to the living room with a beautiful Palladium window. You also have your own three season porch to enjoy quiet afternoons. The sunlit walk out basement offers an opportunity for an office, craft room,or rec room for additional living space. The Master bedroom suite offers a large full bath with double sinks, walk in shower, and a walk in closet. First floor laundry area and level entry oversized 2 car garage completes the package. And, don't miss the Resort Clubhouse with its Florida screened porch, activity room, game room, library and a heated outdoor swimming pool. Enjoy carefree living and make the Gardens of Wilbraham your new home!! Listing courtesy of Dorothy Maiwald of Coldwell Banker Residential Brokerage - Longmeadow. Disclosures Floor Plan From Original Construction is Attached. Listing provided courtesy of Dorothy Maiwald of Coldwell Banker Residential Brokerage - Longmeadow.